matthew j piper: Essay'd 2! Last Thursday, Wayne State Press and Essay'd threw a party at the Museum of Contemporary Art Detroit to commemorate the publication of our new book, Essay'd 2: 30 Detroit Artists! 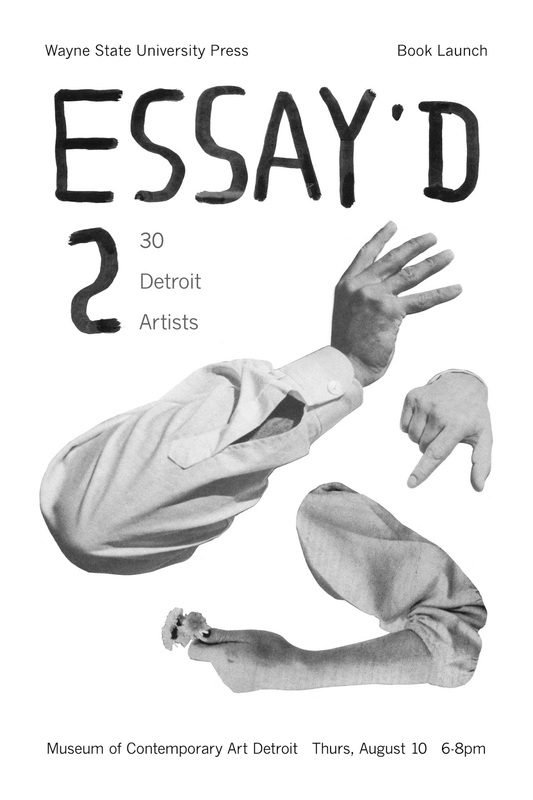 Essay'd 2 follows last year's Essay'd in presenting short, illustrated essays about contemporary Detroit artists. It's an outgrowth of our ongoing web project that does the same, only it looks much nicer and is actually printed on paper! It was such a beautiful night, with family and friends showing up in force to celebrate, peruse & purchase the book, eat some locally grown & prepared food, and generally bask in the good Detroit art vibes. 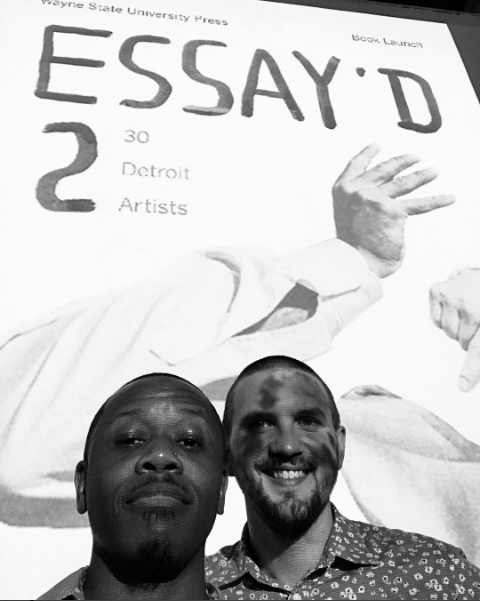 This was our second book launch at MOCAD, and it's starting to feel like a momentous occasion, a unique opportunity to bring people together around Detroit art. 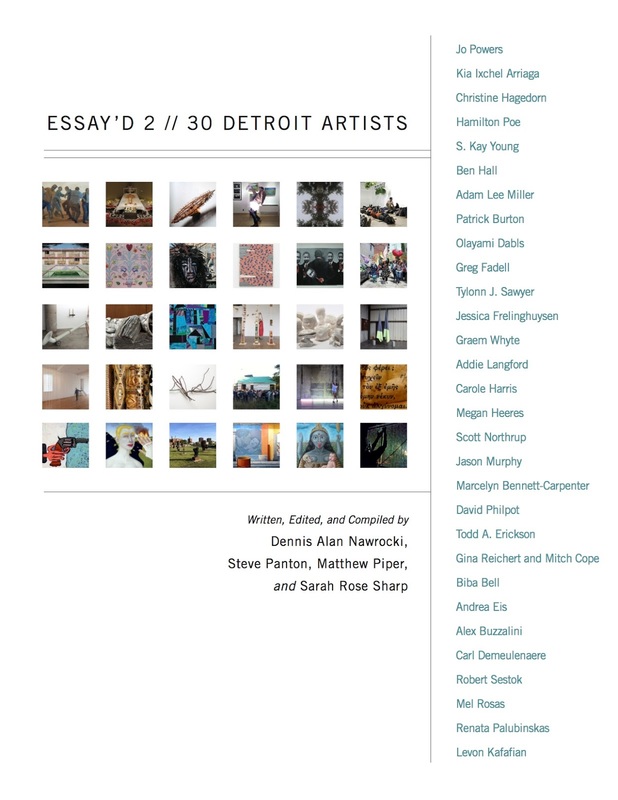 I'm proud of Essay'd's success, to date, in uplifting Detroit's diverse art community in an informed way. 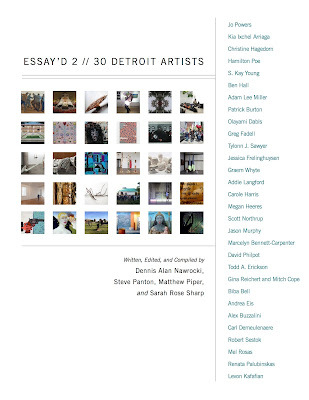 (In addition to the career-survey essays we write & publish, we also host artist talks and gallery exhibitions, all of which is to connect metro-Detroiters more deeply to the remarkable art that's being made all around them.) In the lead-up to the launch, I had the opportunity to talk a bit about the book and about some Detroit artists with Ryan Patrick Hooper on WDET, Detroit's public radio station. If you'd like to listen to the 7 minute spot, you can find it here. And if you're looking to pick up a copy of the book, you can find copies at the bookstores of the DIA and MOCAD, or order online at WSU Press's site or Amazon.